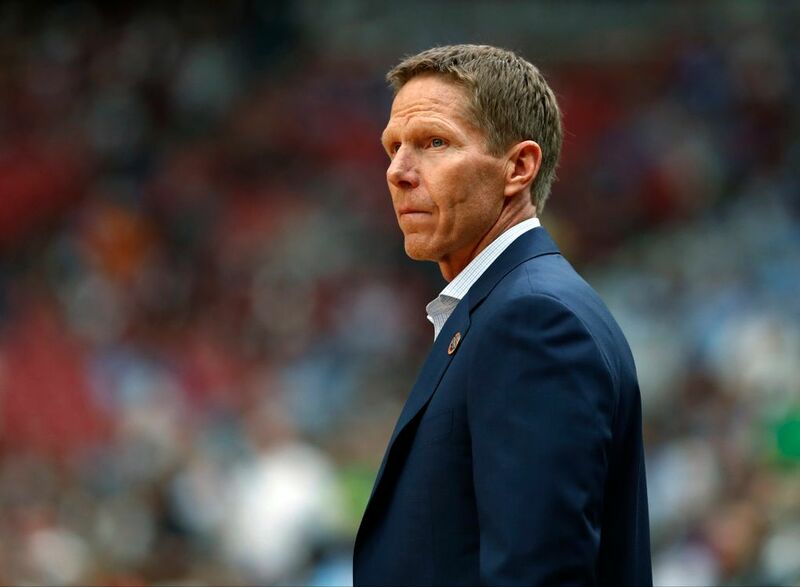 ANAHEIM, Calif. – Down the road, there figures to be an ESPN 30 for 30 on Gonzaga’s rise to national prominence and Mark Few’s probable Hall of Fame coaching career. For now, we offer Few’s 20 for 20. Few has guided the Zags to 20 NCAA tournaments in 20 seasons as head coach. GU’s overall string of 21 consecutive appearances ranks fourth among active streaks, but much higher in terms of improbability. Few was an assistant for Dan Fitzgerald when the Zags made their first NCAA tournament foray in 1995 and assisted Dan Monson when Gonzaga took March Madness literally with a storybook ride to the 1999 Elite Eight. 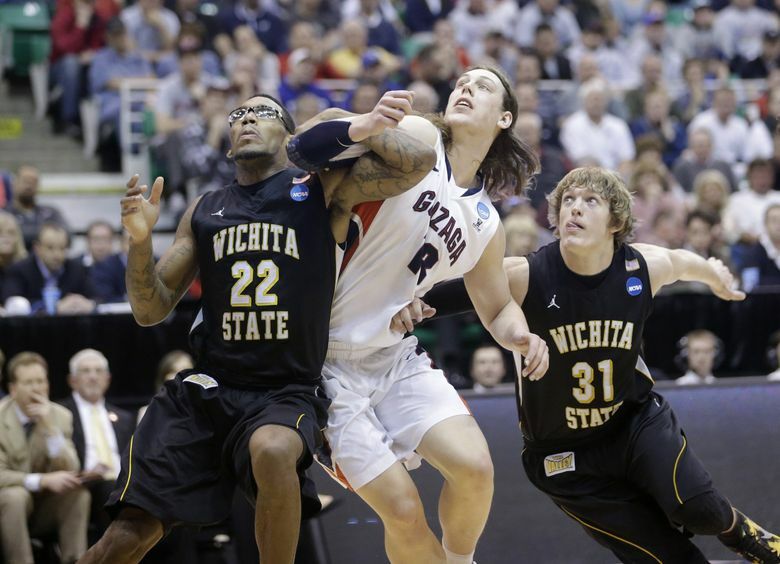 The Zags have been dancing since, with Few compiling a 30-19 record in tournament games. The on-court pinnacle? Easy call. “The whole (2017) Final Four,” Few said. “Being able to walk up on that court to play (at University of Phoenix Stadium), to win a game on that court, to be able to stick around for the whole weekend, the preparation for the national championship game, to walk out there for that game. Where: Honda Center, Anaheim, Calif. The 2016-17 Zags (37-2) nearly went undefeated in the regular season, falling in the finale to Brigham Young. They rebounded to nearly go unbeaten in the postseason, coming up short, 71-65, against North Carolina in the title game. The Zags had made splashes nationally, including the Elite Eight in 2015 and six Sweet 16s under Few before the 2016-17 season. 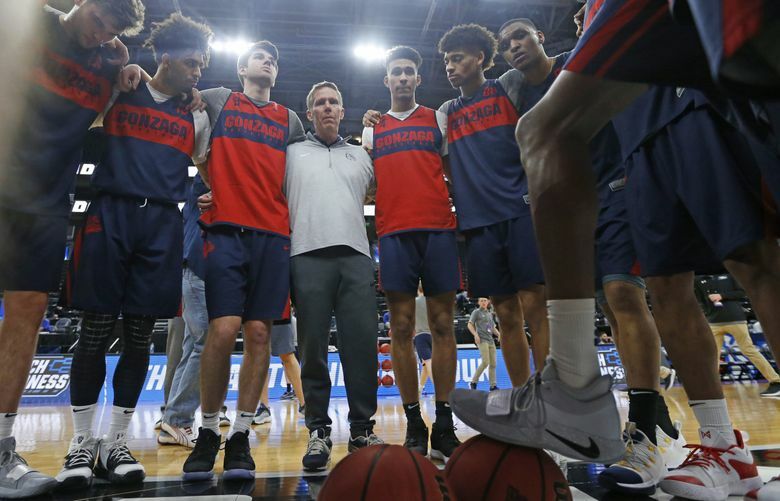 Their remarkable consistency earned considerable praise, but it wasn’t enough to silence some critics who attributed their tournament longevity to membership in the middling West Coast Conference and pointed out the program had failed to reach a Final Four. “We broke that glass ceiling everybody said we couldn’t get over,” senior guard Jordan Mathews said after the 2017 title game. “When your life’s work has been pretty close to a masterpiece, but it’s always getting nitpicked, that can get pretty tiresome,” Lloyd said. “Mark has always believed little old Gonzaga could do this. Few embraced the journey along the way, off the court as well as on. It required balancing enormous highs of milestone wins with introspection after a rare first-round exit, or when his top-seeded 2012-13 squad lost to Wichita State in the second round. Many of Few’s favorite memories away from the court have been locker-room celebrations after significant victories. The scene involves players dousing Few with water as he enters the locker room, and then the coach performing a handstand. His latest handstand came minutes after Saturday’s 83-71 win over Baylor sent Gonzaga to its fifth straight Sweet 16 and ninth in Few’s tenure. 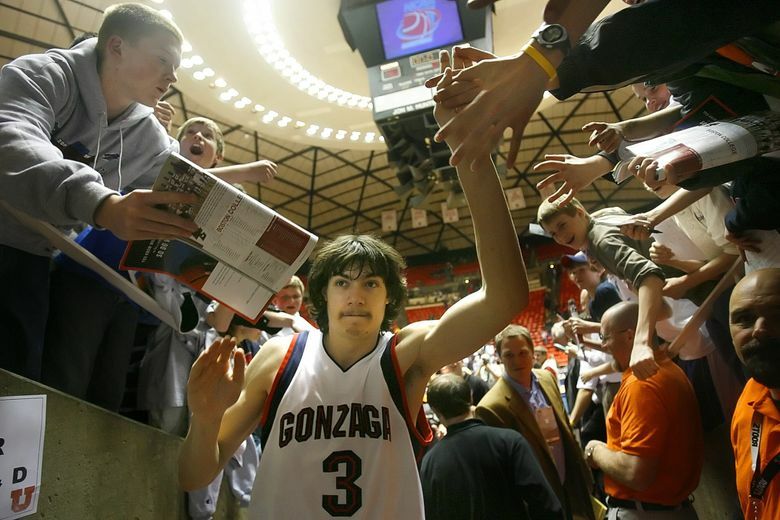 “Those are great, fun, legendary,” said Few, whose top-seeded Zags take on No. 4 Florida State on Thursday at the Honda Center. But the locker-room revelry is trumped by one scene from the 2017 Final Four that linked the program’s past to the present. After a film session at the team hotel, Few had dozens of former Zags enter the room, greeted by a standing ovation from the 2017 team. They still are, and if they get one, there’s no doubt that Few’s list of favorite on- and off-court tournament memories will need room for new additions.